UK’s top Muslim policeman believes the country has entered a dangerous phase of Islamization that even the smallest children are vulnerable to. He says the country’s obsession with “private space” is to blame for its failure to notice the warning signs. In an exclusive interview withThe GuardianScotland Yard commander Mak Chishty has voiced his alarm at developments that are seeing children as young as five falling under the influence of wrong-headed convictions and distorted views being peddled by British and other extremists under the guise of Islam. The issue becomes more salient as mobile phones, social and other media become new sources of information and attitudes. And the danger of this radicalization is such that British society may fail to notice homegrown terrorism before it’s too late. He listed one particular example of a small child asking if celebrating Christmas was “haram” (forbidden) under Islam. Chishty, who is Muslim, holds the most senior law enforcement position in the country for a person of the faith. He is also head of community engagement for London’s Metropolitan Police. He outlined several marker traits to look out for that signify that the process could have already taken place. Among them are the abrupt stopping of behaviors associated with a particular group – such as stopping wearing Western clothes, as well as a marked social removal from things that bond people of a culture together – such as social occasions or various group events. 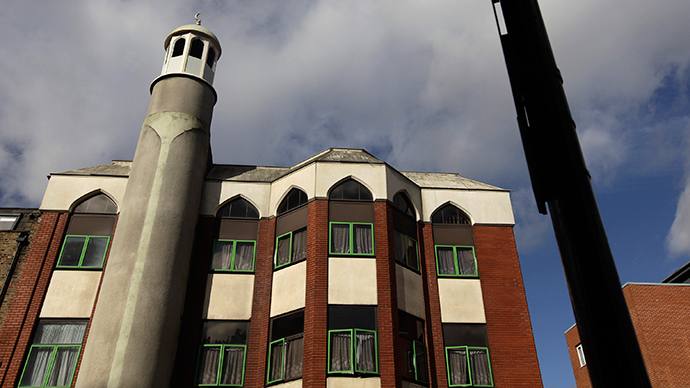 Chishty’s reasons for outlining these facets of behavior come as part of his recommendations that society must begin to invade Muslims’ private space in the UK, if extremism is to be nipped in the bud. The policeman makes clear that the idea has nothing to do with disrespect for privacy, but with understanding that people need to be more “vigilant” than ever before. “We need to now be less precious about the private space. This is not about us invading private thoughts, but acknowledging that it is in these private spaces where this [extremism] first germinates,” he said. He further warns people not to confuse someone’s criticism of “British values” for extremism. The only cure for this toxic spread is to see the red flags early and have friends and family intervene whenever a subtle or unexplained change of behavior takes place in a young person. A parent or relative should especially take care to understand the source of these changes, and not hesitate contacting the police if it remains unclear. In his opinion, the danger of radicalization can only grow with time, unless something is done. As evidence for this, youngsters are still disappearing in droves to fight in the Middle East. Recent figures put the total of Britons travelling to fight in Syria at 700, with at least one suspect arrested by British police almost daily. And the problem is so severe that he feels even his own children run the risk of falling prey to the Islamic State’s (ISIS) propaganda. Chishty believes there’s still work to be done in understanding what makes a young Muslim eventually turn to extremism, be it boredom, problems on the job, or other factors. Chishty’s comments come ahead of a strong tightening of counter-terrorism measures, to be announced by victorious PM David Cameron on Wednesday in the upcoming Queen’s Speech. They’re set to expand law enforcement powers, although they’ve been facing criticism.